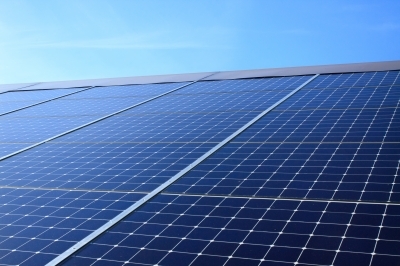 Asset manager Capital Dynamics’ Clean Energy Infrastructure (CEI) Team has successfully commenced the operations of the 173MW California Flats Solar Project in Monterey County, California, the US. The solar plant is located on a 2900 acre piece of land within the Jack Ranch owned by Hearst. It is part of the two phase project, which is expected to have a combined capacity of 387MW. The second phase is under construction and is expected to be commissioned in next year’s last quarter. The project was acquired from First Solar this August by Capital Dynamics. For the solar project, First Solar’s technology has been used, which is claimed to enable material reduction in long-term pollutant emissions in Monterey County and for the power purchasers. Capital Dynamics Clean Energy Infrastructure business head John Breckenridge said: “This successful commercialization marks an important milestone in providing a significant clean solar energy power source while reducing the reliance on carbon-emitting resources for the benefit of California residents. Other investors in the project include The Netherlands-based APG Asset Management and California State Teachers’ Retirement System (CalSTRS). Capital Dynamics claims to have invested in more than 1.5GW in solar projects since last year. It has more than $3.4bn in assets under management and 3.1GW capacity in its current portfolio as of October 2017. Image: Capital Dynamics commissions 173MW solar plant in California. Photo: Courtesy of graur codrin/FreeDigitalPhotos.net.